Vintage 2011: 2011 was the second cool vintage in a row and was the coldest in the last fifteen years in Anderson Valley. The winter was very wet and the cool spring delayed bud break and flowering, reducing the potential crop. June rain also slowed fruit development. July and August were cool and foggy and precautions had to be taken to prevent mildew. Extra work was necessary in the vineyards involving fruit drops and leaf pulling. Temperatures finally warmed in early September and grapes finally matured. Harvest occurred primarily in October, even late October, and most grapes were harvested before the rains. 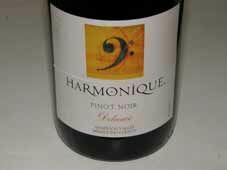 Vintage 2012: This vintage was a striking contrast to 2011 and has been often referred to as the “Goldilocks” vintage since it was not too not and not too cold. Temperatures rose into the high 80s and even 90s during the summer. Harvest occurred on schedule in mid September to early October before the rains arrived. The perfect conditions helped the grapes reach ideal phenolic ripeness at moderate sugar levels. Unfortunately, the organizers fail to feature wines of the same vintage from each winery, making comparisons and evaluations complicated.